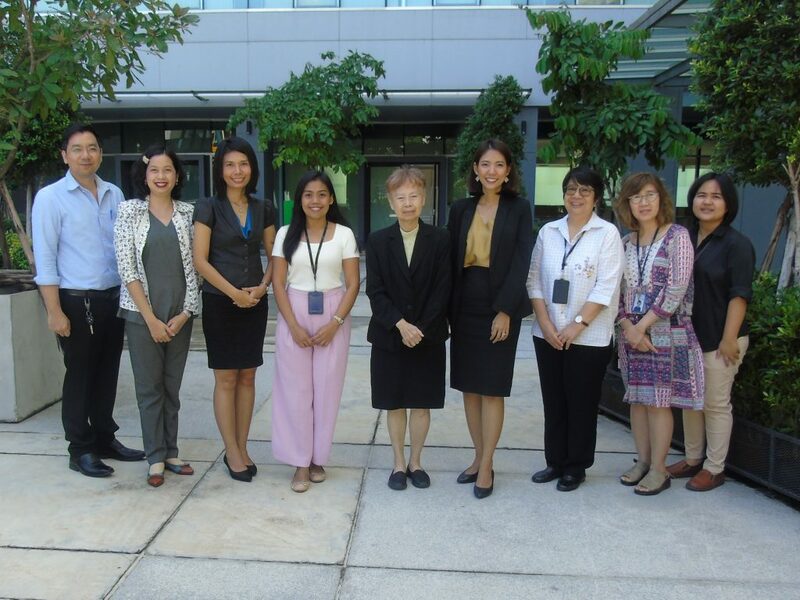 BANGKOK: An APSA delegation today (July 4) met with representatives from Thailand’s National Science and Technology Development Agency (NSTDA) to discuss strengthening public-private collaboration through seed science R&D projects and initiatives. In the meeting, held at NSTDA offices near Thammasat University north of Bangkok, the two organizations discussed provisions for a planned Memorandum of Understanding (MoU), which would formalize collaboration through joint projects, technology transfer, information sharing and public-private partnerships. Leading the discussion on behalf of NSTDA was Prof. Emeritus Dr. Morakot Tanticharoen, senior advisor to the president; and Ms. Sasiwimon Boonanunt, program director of Seed Cluster & Program Management Office (CPMO). APSA was represented by Dr. Kanokwan (May) Chodchoey, acting director; Ms. Kunaporn Phuntunil, membership programs officer and Ms. Suchada Yansarasin, business development officer. Following productive discussions, APSA met with a research team from the National Center for Genetic Engineering and Biotechnology, Thailand (BIOTEC), which is administered under NSTDA. Fruitful discussions ensued between APSA and BIOTEC scientists – Dr. Oraprapai Gajanandana, Dr. Channarong Seepiban and Dr. Saengsoon Charoenvilaisir – which focused on identifying potential research projects between BIOTEC and APSA. BIOTEC and a number of APSA member companies recently concluded a phase for one such project that involved successfully establishing tospovirus inoculation protocol for solanaceous crops in South and Southeast Asia.